The use of chemical and physical restraints in nursing homes in two cases highlighted by the ABC was "totally unacceptable", Federal Aged Care Minister Ken Wyatt has said. 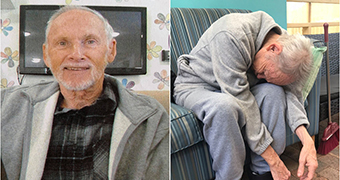 In the first case, 72-year-old Terry Reeves was regularly strapped to his chair at a nursing home in Sydney's west. Records show on one day he spent a total of 14 hours in restraints. His daughter, Michelle McCulla, believes her father was also chemically restrained with powerful antipsychotics on a regular basis without the family's knowledge or consent. In the second case, 84-year-old Victorian woman Margaret Barton was given what a coroner described as "excessive" doses of the sedative Oxazepam, causing her to fall and contributing to her death after just nine weeks in care. 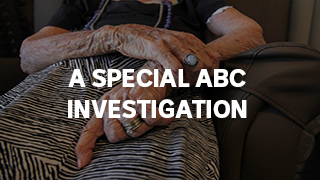 Mr Wyatt told ABC's 7.30 the treatment of the two patients was exactly the sort of thing he hoped would be prevented by the Royal Commission into Aged Care Quality and Safety, which was announced by Scott Morrison in September. "It's totally unacceptable and it's something that would upset me immensely [if it happened to a relative of mine] and that's why the royal commission is occurring," he said. Mr Wyatt also said he was discussing the issue with the Attorney-General and regulating the use of restraints was not "off the table". "If you are using psychotropic medication in the manner we've seen or restraints like we've seen then that is an absolute disappointment," he said. "We won't tolerate poor behaviour, poor treatment and poor care to any senior Australian." The chief executive of Aged and Community Services Australia (ACSA), an organisation representing not-for-profit aged-care providers, said doctors and nursing homes must share responsibility for informing family members about the use of restraints. "The best practice way does mean that where there is consideration of using any form of restraint, that there is conversation involving the families and the GPs and that appropriate consent is obtained," Patricia Sparrow said. Aged care advocates said residents were sedated so nursing homes could roster fewer staff on — something Ms Sparrow rejected. "I don't believe that that's a fair allegation," she said. "ACSA members want to provide the best quality of care [and] they do that within the constraints that they have. "Our concern is always to make sure that the care that's provided to the older person meets that person's needs and supports them in the best way possible." Like Ms Sparrow, president of the Royal Australian College of General Practitioners Harry Nespolan said nursing homes and doctors should share responsibility for informing family members about sedative use. "There is a pressure on doctors to prescribe sedatives as these patients can be a danger to themselves and a danger to the staff," he said. "However, what really needs to be done is that when these patients are not as well controlled as they would like to be, there are a lot of non-chemical ways of dealing with these problems. "One of the problems that a lot of these nursing homes have is that they just don't have the staff to do what really needs to be done to help these patients." The Royal Commission into Aged Care Quality and Safety starts on Friday in Adelaide.